At the park that I shot the boathouse, I happened to walk by this bench on the way out to the lake edge you can see in the background. As ordinary as a park bench may seem, it is a holding station for taking in the scenery around you. 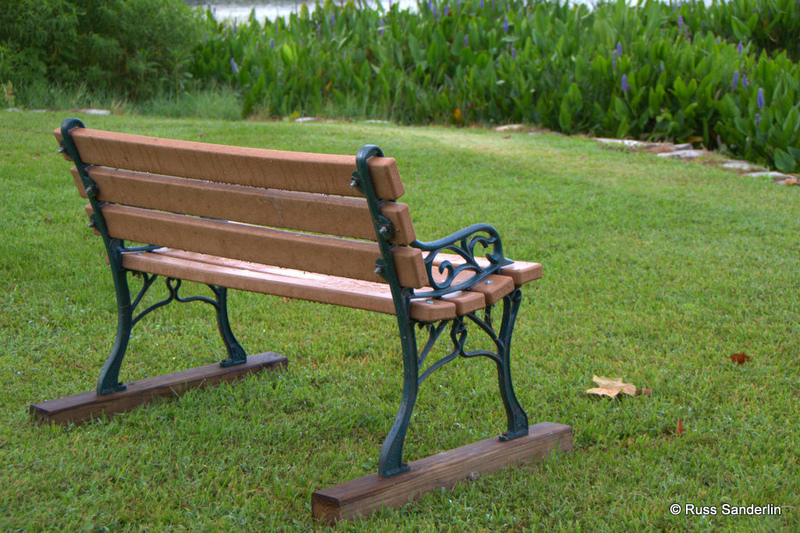 A park bench can help you work through problems, change your mood or become a stage for making memories. The way that I wanted to photograph this with the lake in the background was purely for contemplation. Imagine, for a moment that if you lost something important to you like a friend, job or spouse etc. You spend time contemplating the past, present and future. I simply shot this with my zoom lens, taking account that since it was not in direct sunlight that I would bring down the shutter speed to grab as much data as I could so I can brighten it up just a tad in post. I added a tiny bit of saturation to bring up the vibrancy of the greens.